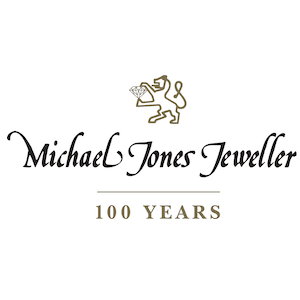 Michael Jones Jeweller of Northampton and Banbury have a reputation for outstanding quality and value for money. Our knowledgeable and experienced staff, all of whom have achieved the retail jewellers’ diploma, will be able to help and guide you with your choice for the perfect gift. In our Grosvenor Centre store we stock jewellery brands such as Ti Sento, Clogau, Michael Kors and Les Georgettes. Our wide range of watches include Raymond Weil, Gucci, Emporio Armani, Michael Kors, Citizen and Tissot. If you are thinking about popping the question, we recommend our Portfolio of Fine Diamonds range; a collection of our finest certificated diamond engagement rings. As well as a wide choice of jewellery, watches and gifts we also undertake jewellery and watch repairs, battery replacements, watch straps, ring resizing, ear piercing and valuations.